By Kareem Shaheen for The Guardian — Islamic State(ISIS) militants have killed dozens of pro-Assad regime fighters in a two-pronged offensive in western Syria that threatens the ancestral homes of the Ismailis, a minority Muslim sect, and which opposition activists fear Damascus will exploit to provoke fresh sectarian tensions. The assault, which began over the weekend in the rural areas east of Homs and Hama, is one of the rare occasions when forces loyal to Bashar al-Assad and Isis have battled each other on a large scale. The Syrian Observatory for Human Rights (SOHR) said 70 pro-government soldiers had died so far in the attack on checkpoints and positions held by the regime. Isis also attacked the Tadmor military airport near Homs, leading to fierce clashes with the regime, which responded on Tuesday with air strikes near Homs and Hama. “Expansion and momentum – this is everything to Isis, and it will seek all avenues to secure it,” said Charles Lister, a visiting fellow at the Brookings Doha Center. The SOHR said the Isis offensive was aimed at “achieving victories over the regime forces, to raise the morale of its supporters after the organisation’s consecutive defeats against the Kurdish YPG in the provinces of Aleppo, Raqqa and Hassakeh”. The latest Isis offensive comes at a time when the group finds itself on the defensive in Syria. The group has lost hundreds of fighters in the battle for the Kurdish enclave of Kobane near the Turkish border, later beating a retreat before the advancing YPG militia. It has resorted to suicide bombings, the latest of which struck in Hassakeh at a Kurdish Nowruz celebration, killing 45. “Definitely, the targeting of civilians by Daesh especially in Hassakeh on the eve of Nowruz [Iranian new year] is a result of the strikes and defeats that it suffered,” a spokesman for the YPG told the Guardian, using the group’s Arabic acronym. The group has suffered from repeated coalition air strikes that have killed nearly 2,000 people since they were launched six months ago, with Isis fighters making up the vast majority of the casualties. It has also been derided by other rebel groups, who accuse it of colluding with the Assad regime and cannibalising the opposition. The regime and its allies have often preferred to go after other rebel groups, leaving Isis to the US-backed coalition’s air strikes and the Kurdish militias. The latest assault shows how the militant group is still advancing in Syria, building up sympathy in areas it wants to co-opt and expand into, and subtly building up support bases throughout the country in areas not yet under its control. Isis is likely to score victories in the eastern Homs countryside, which is not so well defended. “The regime is very weak and does not have the forces that it had in the past, so any alliance that attacks or launches a battle will advance,” a Homs-based opposition activist told the Guardian, adding that the regime’s reliance on foreign fighters and Iranian support in Aleppo and southern Syria was evidence of its manpower problems. But the assault on the eastern countryside of Hama is more complicated. Activists on the ground say the regime has substantial forces in the area, which is also close to vital supply lines. The city of Hama itself has been relatively quiet after the regime established control there in 2012, though the countryside has often been restive. Hassan said Hama and Homs also have symbolic value to Syrians who rebelled against the regime. Homs was long-regarded as a key capital of the revolution, surviving years of siege before being seized by the regime last year. In the 1980s, the regime of Bashar’s father, Hafez al Assad, violently crushed a Muslim Brotherhood-led uprising in Hama. Hassan said Isis has long sought to position itself as a defender of Sunnis in the area. 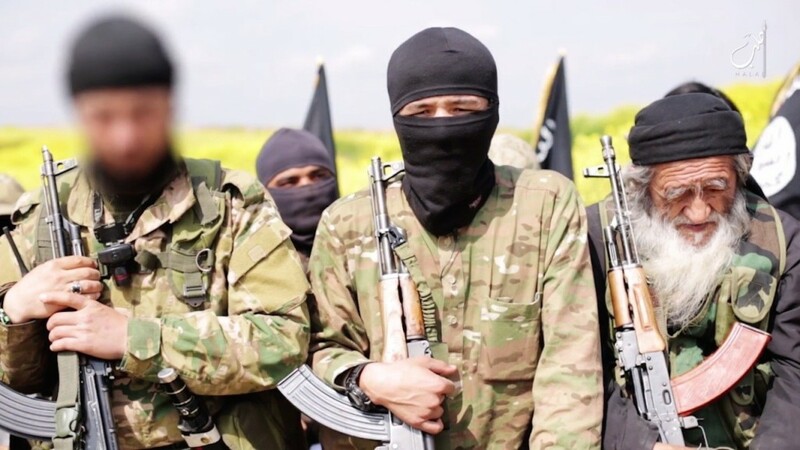 But the eastern countryside of Hama is also home to many Ismailis, an offshoot of Shia Islam, raising the prospect of sectarian bloodletting if Isis advances in the area. Isis considers Shias as heretics and has destroyed their shrines in areas where it holds sway. It has also massacred Shia in Iraq. Eastern Hama’s countryside also offers a glimpse into how the regime allegedly uses sectarian tensions to advance its cause. Salamiyah, which lies south-east of Hama city, is the burial grounds of Imam Ismail bin Jaafar, the Ismaili sect’s founding father, and is a historic, ancestral redoubt for the community, which makes up roughly half of the population in the town and its outlying villages like Tal al Dorra and Sa’an. Opposition activists say the regime has tried to provoke sectarian tensions in the area by recruiting Ismailis to its local pro-government militias, as well as setting up checkpoints in Ismaili areas that harass, rob or kill Sunnis travelling through the villages to Hama and Salamiyah. The activist said Isis was likely trying to engender sympathy with local Sunni communities who have suffered under regime rule as a result of these measures. “There are no sensitivities between the Sunnis and Ismailis in this region but the regime is trying continuously to provoke sectarian tensions, but it hasn’t succeeded until now,” he said. Previous Yemen Was Washington’s Counterterrorism Success Story. Not Anymore.